We are expert installers of bonded rubber mulch bonded mulch is a soft surface area that is commonly used in playgrounds and recreational areas that are commonly used by childre. The shred is suitable for everyday use as it is strong a durable whilst at the same time being softer than tarmac which makes it more suitable for play areas. Much like wet pour, the mulch flooring specification is set up in a variety of depths. The CFH of your playground apparatus determines what thickness of flooring should be used https://www.bonded-rubber-mulch.co.uk/cfh/ The testing is performed to British Safety Standards. Different features like recreational equipment and slides will often have rubber bark flooring laid around them. The flooring provides a purely natural appearance to complement a current rural area, but also delivers the necessary protective properties. 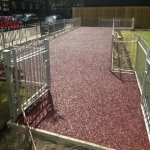 Our kids' play area instllers install the bonded play bark onto surfacing such as grass and tarmac as it’s really adaptable. It's perfect for playgrounds which get flooded and waterlogged through wet conditions. The flexibleness of this system indicates it could be effortlessly placed on spots with apparatus currently laid. Because there is no need to install ground works, the costs with this surface come at very good value. You are able to obtain a fantastic value price from us since we offer you affordable prices for the work. For facilities with existing outdoor play equipment, we can mould the rubber flooring to fit with these. Find out more about our landscaping services https://www.bonded-rubber-mulch.co.uk/application/landscaping/ These could be things like climbing frames, slides, trim circuits, benches and tables. 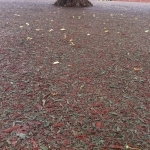 Due to the holes between the rubberized mulch chippings, the floor is permeable. Therefore water may go through the floor instead of flooding on top of the floor. This simply means it does not have to have a lot of routine maintenance and it can be used all through the year. If you are seeking an alternative option to wooden chippings, this is a fantastic option as it's suitable for all weather. You won’t have any pieces of material being misplaced from the area because it's all stuck down solidly. Play area rubber shred provides an extremely resilient safety surface that works well in busy recreational areas. 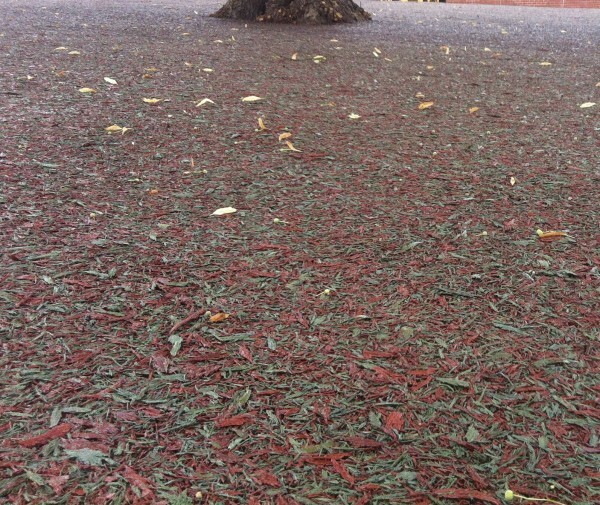 Even with playgrounds which are used heavily, the bonded mulch flooring is resistant against destruction and wear. Rubber mulch helps improve playground safety for kids of every age group https://www.bonded-rubber-mulch.co.uk/application/playground/ The mulch is often put down to relieve shock from falls when using play equipment and features. This also produces an attractive and decorative option for community parks and pathways. We can easily do the construction of safety surface types which includes wetpour, rubber mulch as well as turf mats for the purpose of playgrounds. The types of surface we build are analyzed to fulfill Critical Fall Height reviews for the play-area products in the area to guarantee the most safeguards for youngsters. 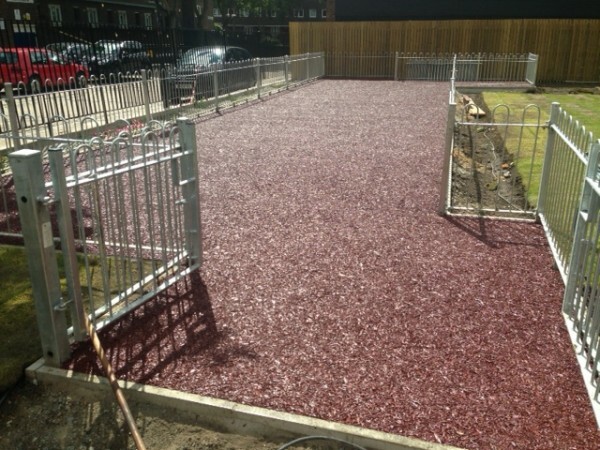 This recreation space flooring requirements will be developed to be permeable so that they can be utilised in any weather conditions for the reason that fluids drains throughout all of them without difficulty. Rubberized mulch is a more natural looking surface; it happens to be produced from re-cycled rubberized shred helping to make this surface eco-friendly.